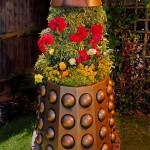 Global Geek News > Cool pictures > A Dalek Made From E. Coli?! 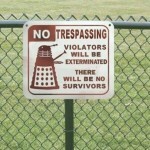 CONTAMINATE!!! 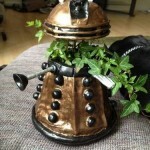 I’ve seen people make Daleks out of all kinds of crazy stuff like the post from last week where somebody decided to make a cool Dalek planter for their flowers but I would have never imagined that somebody would make a Dalek out of bacteria in a petri dish. To be honest, I never even knew you could do that! I know you can teach dogs all kinds of tricks but E Coli? Impressive! 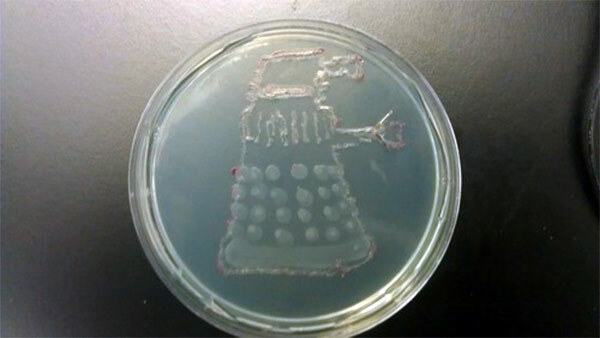 A Whovian going by the name of Who-lligan apparently works in some sort of lab and decided to make a Dalek out of E. Coli bacteria. 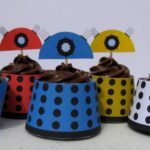 I think this person should win some kind of award for this like most clever idea for building a Dalek or perhaps the deadliest. 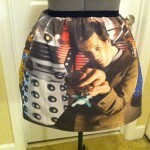 Whovi-Os Sounds Like a Doctor Who Cereal But is Actually a Cool Shirt!